Quick! What colors come to mind when you hear the word “Christmas”? The traditional go-to pairs like Red and Green or Silver and Gold are the first hues that most of us think of when the holiday season is on our minds. These combinations are lovely, but it’s always wonderful to see new looks when mixing n’ jingling this festive time of the year. 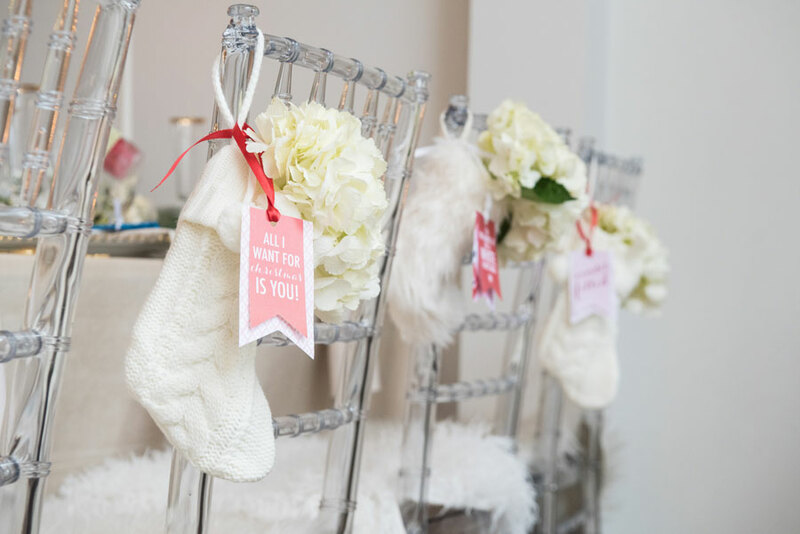 Debi Lilly of A Perfect Event has a pastel holiday look that we’re ready to deck our halls with! 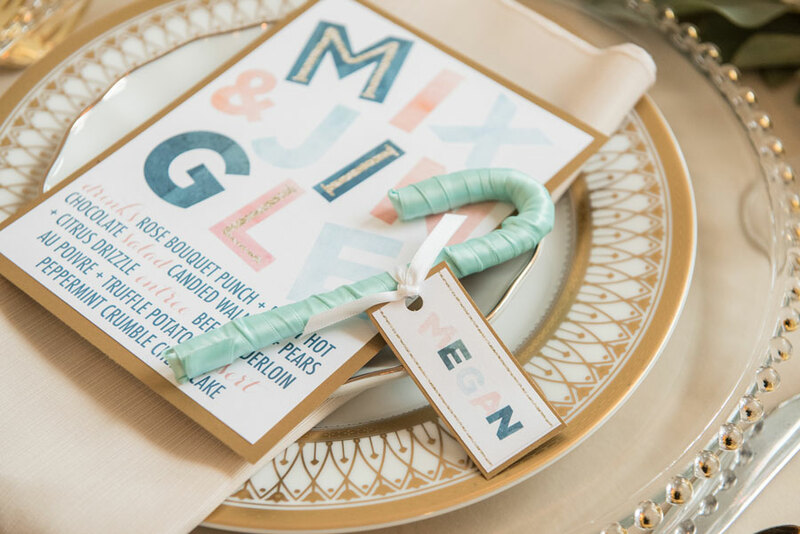 Cheerful and bright, this style is sure to bring joy to any holiday affair. The sugar plums must have been dancing in Debi’s mind when she chose this palette. A soft bed of ivory velvet, like freshly fallen snow, is a dreamy choice to start with. 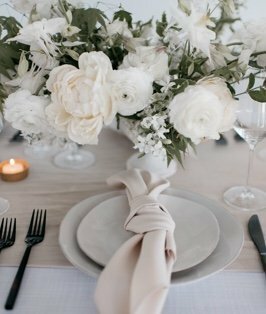 Pale pinks, icy blues and pure whites are wondrous partners in this tablescape. 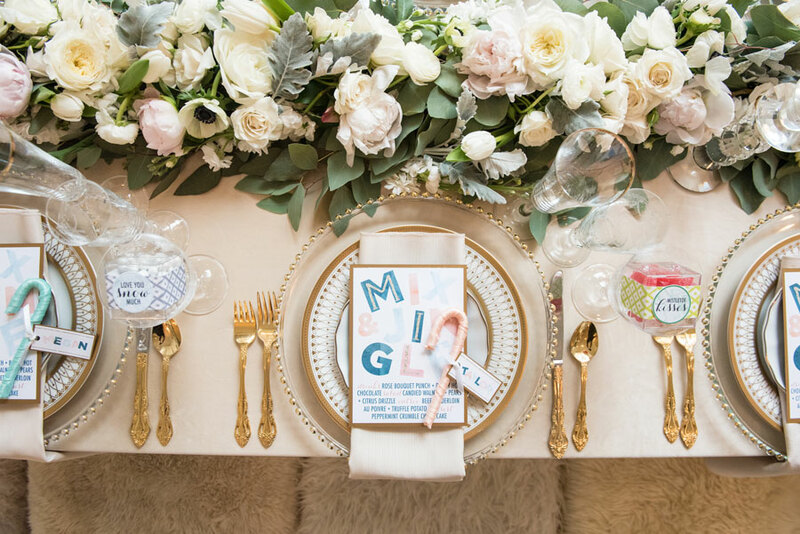 Golden accents in the flatware and china add an elegant touch to this sweet look. It’s the little things that count, right? It’s also the little things, and attention to the details, that make this event oh-so memorable. 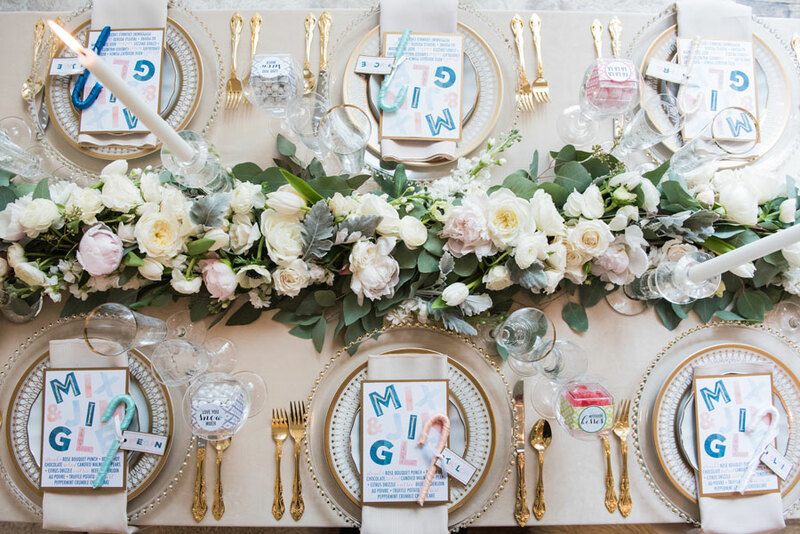 From the festive Fa La La La La trim on the favors, to the stockings that are hung from the ice-clear chairs with care, this tablescape has all of the holiday trimmings. If that wasn’t jolly enough, the runner of floral garland and ribbon wrapped candy canes should fill you with joy. 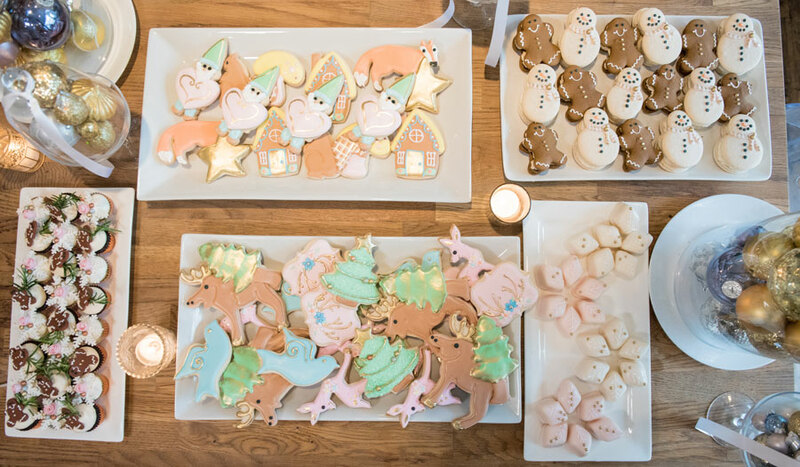 Speaking of joy, these winter themed pastel cookies are full of whimsy. 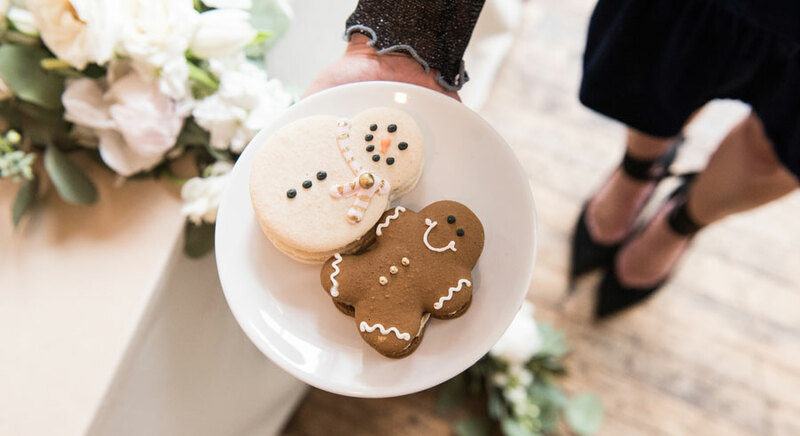 Just as playful as they are colorful, guests will be indulging on more than just one. 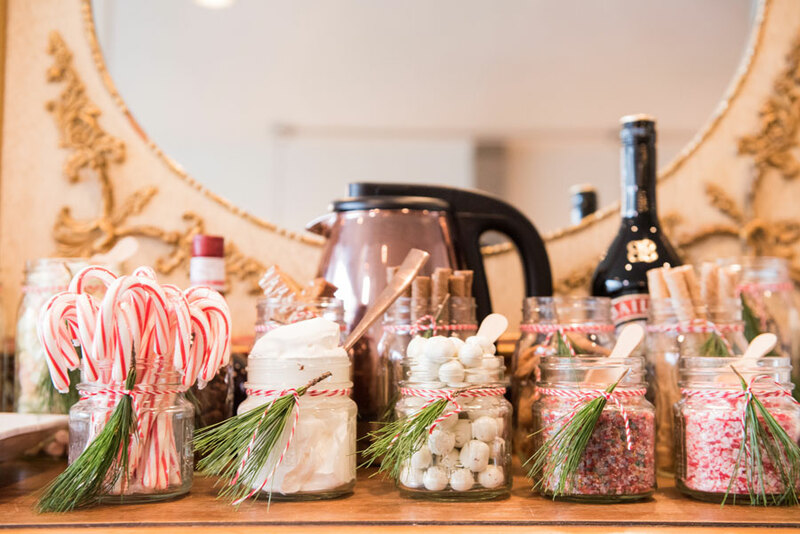 A hot chocolate bar equipped with peppermint, marshmallow and sprinkles was also a fun way to keep the guests delighted. Who wouldn’t feel all warm and cozy with this spread? This winter wonderland wouldn’t have been complete without a perfectly dressed tree, with presents underneath. 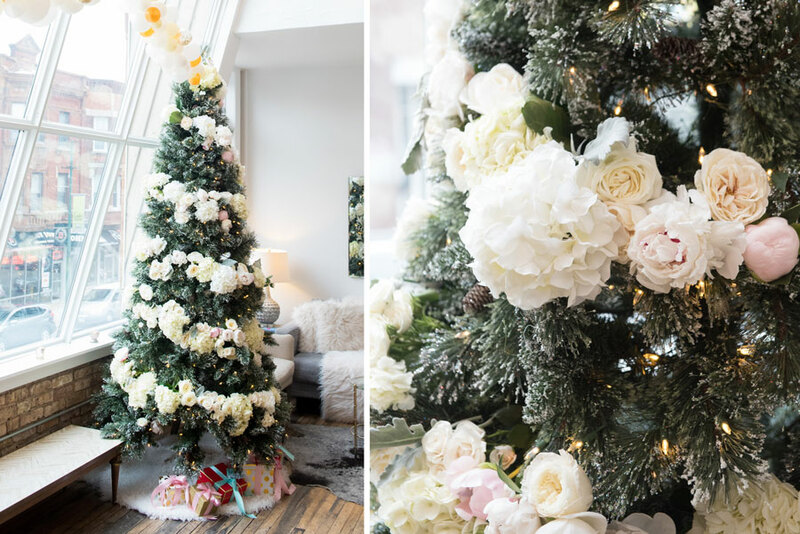 Fresh floral garland, full of soft pink peonies, white hydrangea and ivory garden roses, striped this frosted tree like a candy cane. A glammy white faux fur tree skirt and glimmering gifts finished this pretty look off. 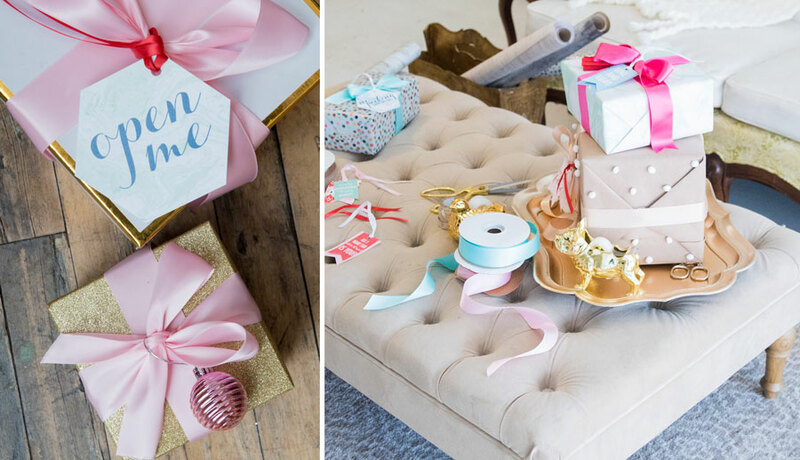 Just as cheery as the rest of this event, the gifts were wrapped in colorful paper with gold accents and topped with bright pink and blue bows. Is a pastel Christmas just what you’ve been looking for? Planning to use a pastel palette for your holiday look? 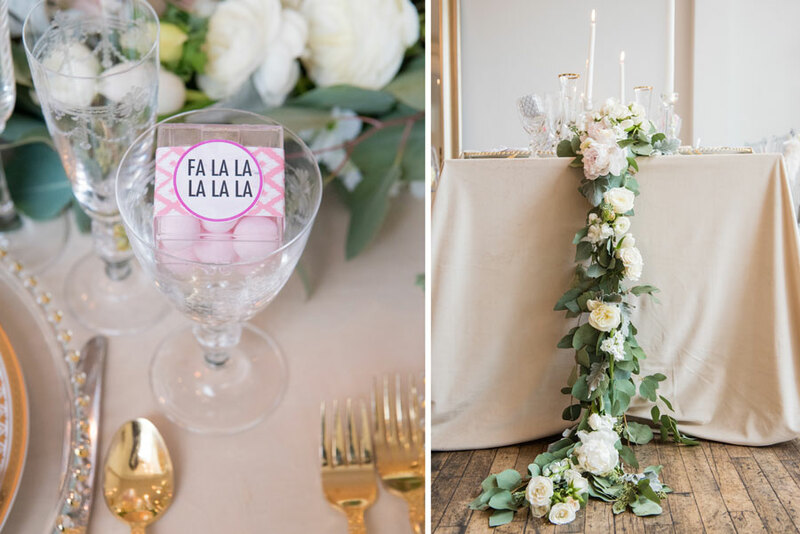 Show your festive pastel event with us on Instagram.